Everything But The Kitchen Sink: God Bless the Queen! 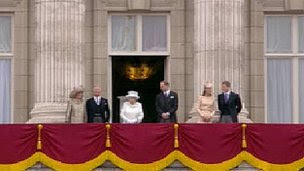 Hope everyone has enjoyed the Jubilee weekend (4 days!, Woop!) Loving the butin, Victoria sponges, street parties and Pimm's o'clock! 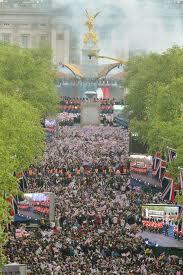 I enjoy these kind of festivities every year and love getting all the family and friends round to toast to the Royals! 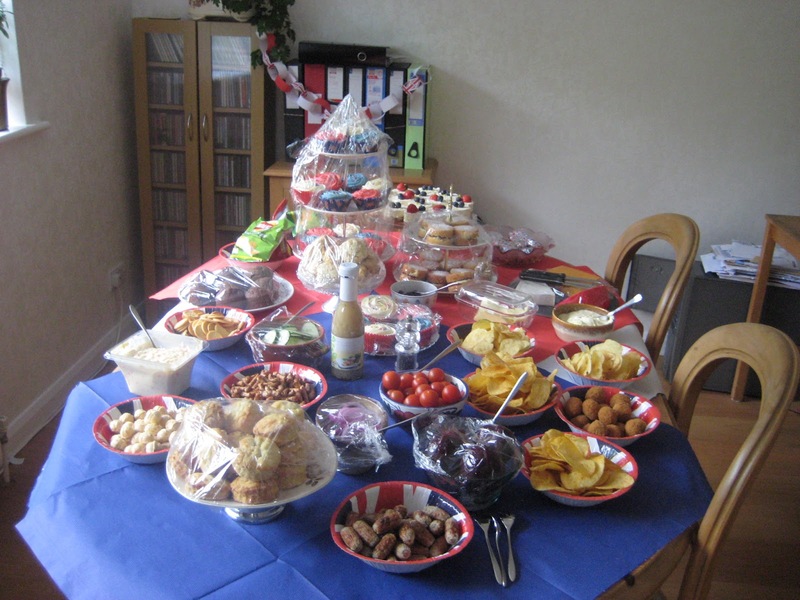 Just thought I'd add a few pictures of the Jubilee and our food. 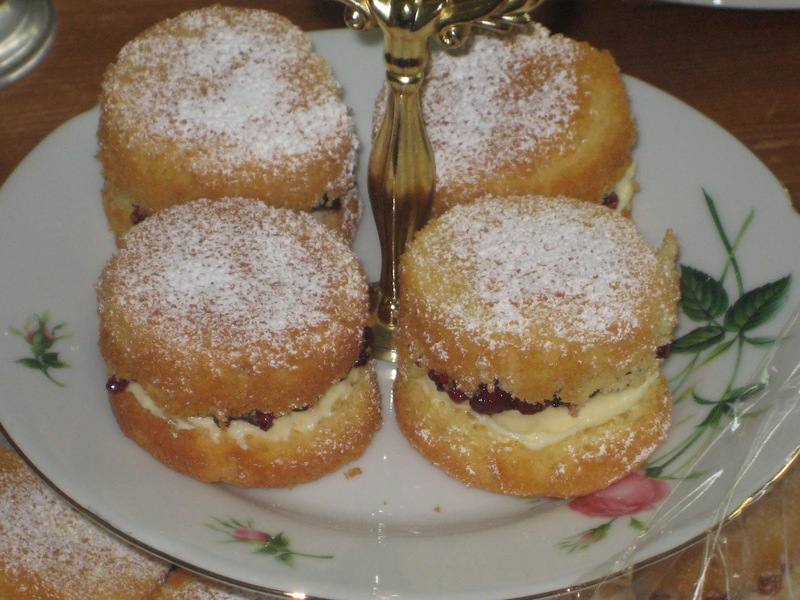 Plus my recipe for my awesome Victoria sponges! Hope you like! 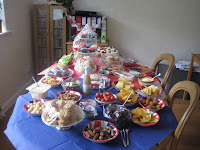 My yummy Victoria Sponges and patriotic cheesecakes and finally our crammed table of food!! Ingredients: Normally I weigh 3 eggs, then match their weight to the butter, self-raising flour and caster sugar. Or you can alternatively do 175 grams of each and 3 eggs. First off pre-heat the oven to around 180° (our oven normally changes it temp so keep an eye on them!) whisk the sugar and butter in a bowl until light and fluffy. Then add the eggs and a small amount of the flour (to stop the eggs from curdling) until blended into a mixture then add the rest of the flour. Use grease-proof paper on the bottom of the cake tins, to stop the cake from sticking to the tin, then pour in the mixture and put into the oven. Check around 10-15 minutes later. If they're golden brown and you poke them and they bounce back up then they're done! Leave them to cool for half an hour or so, so you can begin decorating! For the butter icing I normally just chuck the butter and icing sugar in and see what it tastes like! Generally people say add twice as much icing sugar as you would butter, but it's whatever you prefer. Then add any jam you want, raspberry, strawberry, plum etc. 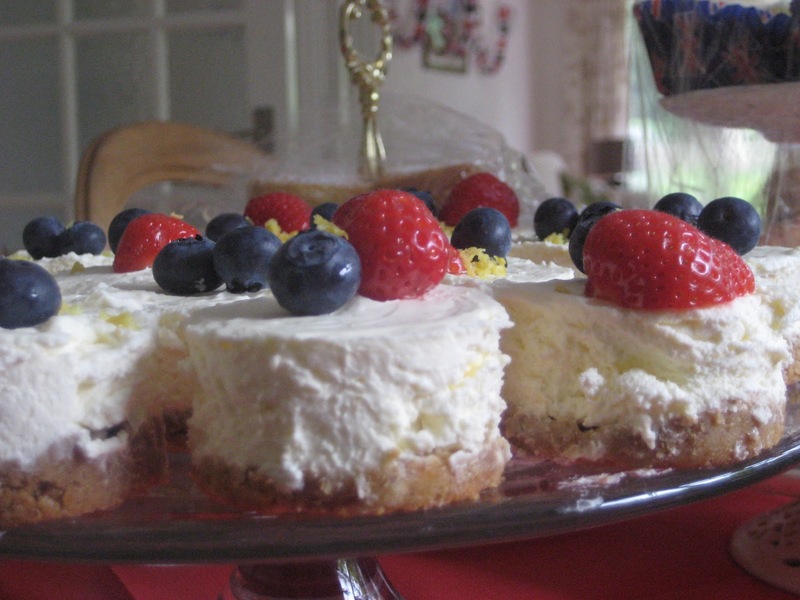 And to finish off sprinkle a little icing sugar on top and add your union jack flag!